The Daimler-Foster Artillery tractor is the starting point for the idea of an armored vehicle with chains wheels. 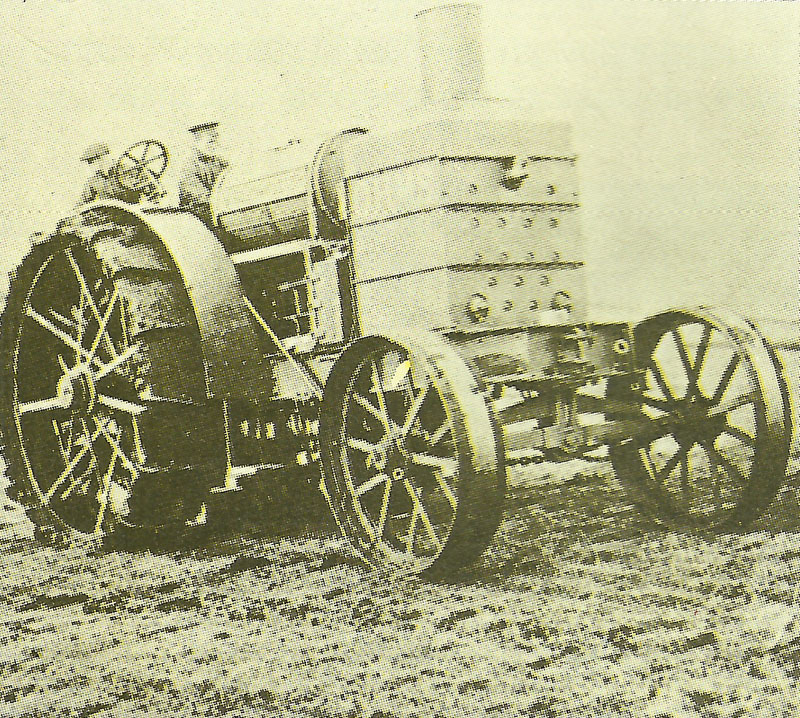 Britain: Churchill begs Prime Minister to approve prototype of armoured steam tractor. Foch made C-in-C Allied Northern Army Group. Dubail heads French Eastern Army Group. Argonne: French attack near Courtechasse after mining 600 yds of German trench. Alsace: French advancing north of Altkirch capturing woods until next day. Archduke Frederick speaks to Kaiser Francis Joseph: ‘an attack by Italy or Rumania would place the Monarchy in a militarily untenable position … makes … imperative … the earliest possible … victory over Russia’. Persia: Russian general Chernozubov evacuates Tabriz. Turks occupy it on January 8. Cameroons: Colonel Mayer’s French troops at Edea and Kopongo repulse 500 Germans. Southwest Africa: South Africans occupy Schuit Drift on river Orange and Raman’s Drift one week later. Italy: Italian Navy CNS Revel war appreciation study argues reliance on torpedoes and mines against Austrians before Fleet action.